Here’s former A’s and Astros manager Art Howe accepting the No. 18 jersey to manage the Mets next year. Howe will take over for the victimized and jobless Bobby Valentine 2, whom the Mets whacked the day after the season ended. (Coaches Charlie Hough 54 and Tom Robson 57 summarily left of their own accord). The move temporarily leaves Jeff D’Amico numberless, although he may wind up jobless as well. 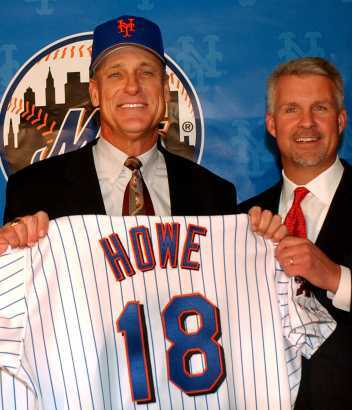 Howe becomes the 17th Met manager (and the first to wear No. 18). 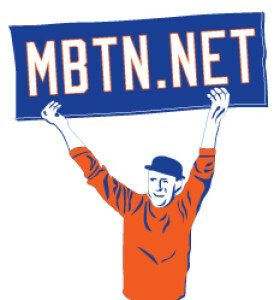 See more at MBTN’s All-time Coaches & Managers list.